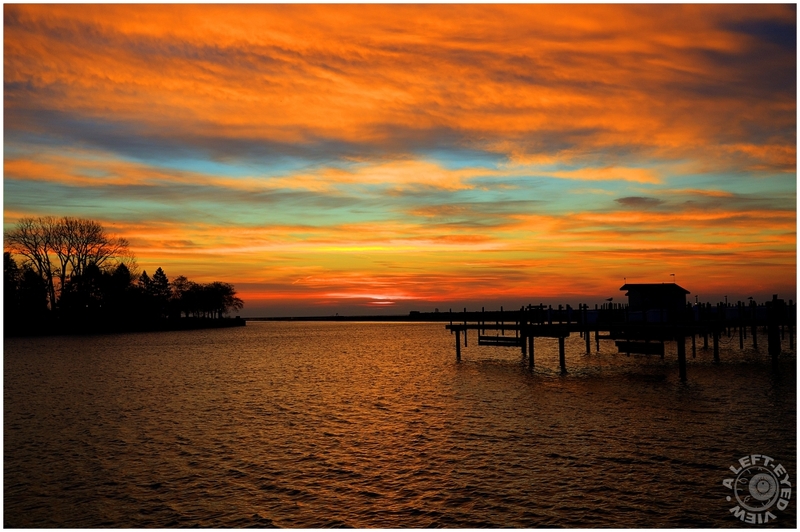 Steven (Chicagoland, United States) on 11 November 2011 in Landscape & Rural and Portfolio. A November autumnal morning sky captured off the shores of Lake Michigan in Waukegan, Illinois. I will be taking some time off until after the Thanksgiving holiday. See you upon my return. Photo captured November 5, 2011. Great shot! The colors and light are fantastic. The exposure is good, with perfect darkness in the foreground. The composition is also good, with the silhouette things and the fractal trees popping up to the left. A lovely image to (temporarily) sign off with Steve, have a good holiday! ah beautiful.. have a nice break. Glorious sky - and the piers and jetties form beautiful silhouettes. Ah, what a fabulous image - love that glorious sky! Have a great break Steven! So beautiful ! A superb composition and great atmosphere . Wonderful colors. I would love to have seen the result if you were to slow the shutter speed way down to smooth out the water. I wonder if it would have balanced in texture even better with the sky. Nice shot. @Craig McCord: I actually tried it a few times, but would you believe it was too bright outside? And unfortunately, I didn't have my ND filters with me. You really caught the colours here Steven excellent capture. Absolutely superb, we have all what we can expect: a gorgeous light playing with clouds, solme part of blue sky, beautiful reflection on the water and silhouettes in between. Really gorgeous colours. Nice silhouettes and composition. glorious sunset and skyline, great tones. what a stunner ... can't get much better than this!!! Absolutely beautiful! The colors are just gorgeous! I was listening to some nice song and could not resist saying a big wow for this photo. computer and not having seen it for a while. Magnifique. @Phil David Morris 2011: All I can say is "Wow!" P.s. Have a great Thanksgiving. Ours is October. Phil. That is a beautiful evening sky. What a magical sky ! Tones breathtaking! Sometimes certain landscapes are hard to imagine! Thank you for the magic of this image! Seriously lovely tones! Love the way the sunlit clouds have stood against the blue sky and the dark foreground! The colors and light in this image are glorious. Woww,wooww,wooww...La mejor foto de hoy,me gusta mucho ,la compo,los colores muy bien logrados.5*.Saludos. An excellent capture of the sky..great colors. Amazing shot. A superbe capture of this very beautiful morning. The colours and light is fabulous. Beautifuly captured and presented. You have captured a very special moment. A gorgeous superposition of colors. Striking. What a successful shot Steven ! Fantastic colors in the sky and on the water. Glorious living light . . I'm late in arriving, so, Happy Thanksgiving, too ! Came back today to see this beauty, the calming power is still intact ! The colors of this sky are stunning! And the siluette frames it well. WOW. Amazing!!! There are no words for!!! !